The Star Wars franchise started anew in the winter of 2015 with J. J. Abrams’ addition to the series, Episode VII, The Force Awakens. Since then, Star Wars, a story which seemed to have drawn to a close with The Return of the Jedi released in 1983, has been expanded into a new universe of characters and story lines spanning the galaxy. The first expansion to the series, however, didn’t begin with The Force Awakens, but, as many know, The Phantom Menace, released in 1999 as a prequel to A New Hope. For the younger generation of Star Wars fans, characters such as Qui Gon Jinn, Jar Jar Binks and Queen Amidala have been there since the very beginning. This generation of Star Wars fans face a similar situation that the first Star Wars fans did: the introduction of new characters that threaten to replace beloved characters. The most recognizable character of the Star Wars franchise is probably Luke Skywalker, who kicks off the series in the first film, A New Hope. His space buddies are made up of a galactic cowboy/swindler Han Solo, and his sidekick, a fuzzy alien called a Wookie, named Chewbacca. Joining the crew later in the story are robots C3PO and R2-D2, as well as the spunky Princess Leia–who spends the next three films fighting evil, blowing up planet-killing space stations and ultimately saving the day in a feel-good kind of fashion. The films received moderately high ratings by critics, even if, as Gene Siskil wrote for the Chicago Tribune, the cast was “unmemorable,” and Director George Lucas essentially wasted “his entire $9.5 million budget on visuals.” Like the TV series Star Trek, the films weren’t immediately popular, but didn’t waste time making a place for themselves on the shelves in American homes next to beloved classic films. Intending to recreate the success of the first three films, Lucas then began expanding into the history of the Jedi and the world in which our hero, Luke, grew up. He made a risky move: introducing new characters (which doesn’t seem too bad, until Lucas leaves out most of the ones audiences have come to love). The Phantom Menace was a film that took many risks, especially because audiences wanted a film that would essentially fill the same sort of glory that the other three films did, but, in the eyes of many, fell flat. This doesn’t mean, though, that it wasn’t a worthwhile film. It told a story that needed to be told about the Star Wars universe, and for many fans, that story simply wasn’t one the audience wanted to hear (to read more, see George Lucas’s interview about the films here). On top of that, the characters were new: Queen Amidala, better known as Padme, made her debut, as well as dozens of Jedi we didn’t see in the last films, and Jar Jar Binks, who is, perhaps, one of the most irritating characters ever created. In a similar fashion to the original films, these characters fight evil–though evil, it seems, wins, in a new trend which has begun to manifest itself in the Star Wars story. With Annikin turning to the dark side and the death of the female lead, Padme, it sparks a new era of Star Wars films no longer aimed at audiences mostly composed of kids, but of more mature audiences who are perhaps a little less delusional about the good guy always coming out first. True, these films are only a setup to the glorious victory in Return of the Jedi, but the dark thread runs through into the next two films. The Force Awakens, as some chat forums such as Twitter and Pinterest said in the past, “crashed the internet” with a trailer that was only a few seconds long and barely showed any of the action in the coming film. It was perfectly natural for the devoted fans of the Star Wars franchise, as well as newcomers to the fandom, to be thrilled at the addition to the already popular series. But the promise of even more films to come in the future–one a year, according to cinemablend–leaves audiences with many questions and some with a sense of foreboding. Actors age, and screenwriters inevitably reach for the pen which writes the line “[character] dies.” And, as characters shape the story of even the most mediocre films, it remains to be seen what effect changes in the casting and the characters will have on the success of the Star Wars franchise. The Force Awakens was met well, even with the additions of Kylo Ren (Adam Driver), Rey (Daisy Ridley) and Finn (John Boyega). But this film followed the trend of the Star Wars prequels with the death of Han Solo and the tragic stories of Kylo Ren and Rey. Luke, the shining hero of the last movie, has fallen into mystery as well, covering the universe (and the audience) in a shroud of uncertainty. In the follow-up film, Rogue One, released December of 2016, it becomes apparent that not only are certain heroes doomed to live tragic lives such as Luke and his friends, some of them are doomed not to live at all. Though part of the original Star Wars canon, Rogue One, meant to be a prequel to A New Hope, ended with the death of every one of the lead roles. Though a stand-alone film, Rogue One continued with The Force Awakens’ themes of tragedy and violence, which were minimal in the original Star Wars films. Neither of these films are in the same ballpark as A New Hope where it comes to intended audience. 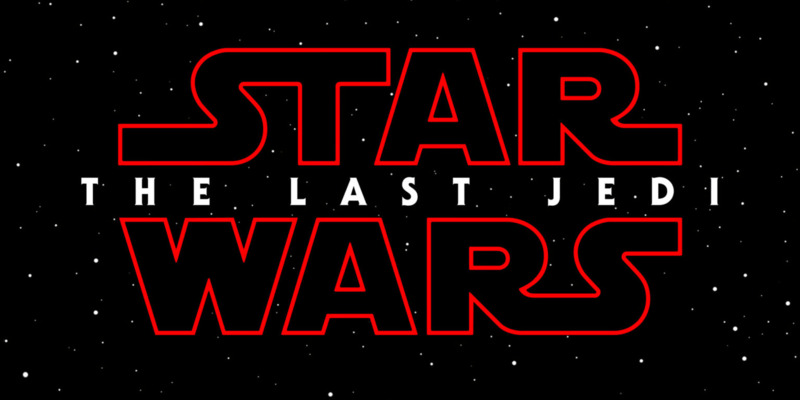 With that in mind, Disney released a trailer for the upcoming Star Wars film, Episode VIII: The Last Jedi, which can be viewed here. And while only speculation can be made from such a trailer, it seems that the story is only getting darker for our heroes, weeding out the ones we have grown to love (such as Luke, Han Solo and Leia) and replacing them not with characters from the same archetypes but ones which bear little resemblance to the originals. However, the prospects of these films look positive, even with the risks of darker story lines and a newer cast. It seems that Star Wars will always find an audience, even if it leaves older generations of Star Wars fans in its wake. Next Next post: What Happened to Jeremy Lin?